Is the younger, tech-crazed generation giving you a run for your money in the workplace? An interesting benefit of my work as a professional speaker is interacting with sometimes thousands of people every week, across generations. Few topics illustrate generational differences in the workplace as technology, my particular topic. In fact, it’s impossible to discuss technology like social media, apps and web search in any strategic way, without addressing the different ways in which Millenials, Gen Xers, Boomers and Traditionalists do or don’t leverage it. Inevitably, during the question and answer portion, the conversation always includes inter-generational issues outside of technology. More than once, an exasperated Boomer has approached me, pleading for the secret to “mastering” millenials. As a seasoned millennial, almost Gen Xer, I’d like to offer three tips for growing your personal brand as a millennial magnet. Everywhere you turn, you’ll find statistics and opinions illustrating how millenials do everything differently. They are tech-obsessed, don’t value hard work, are spoiled, are scared of the sun, etc. While Gen Y (millenial generation) does differ a little from previous generations, many of the traits attributed to the group have been said of all generations, in their youth. Rather than treating millennial coworkers and employees as if they were freshly-landed space aliens, try to remember what motivated and excited you at their age. What did you value? What helped you succeed? I said try to remember simply because it is hard to put ourselves back into our younger minds without the lens of our older life experiences. A marketer’s job is not to judge human nature, but to leverage it for the best possible results. In much the same way, you will not change those traits that define millenials: desire for flexibility, high technology interaction, deep dislike of boring tasks that leads to job-hopping, belief in transparency, etc. Once we accept this, we can then exploit these traits for the benefit of the company. One Boomer business owner recently lamented on how he could not hire millenials because everyone he’s interviewed wanted to work from home. After further investigation, there was no reason they could not perform their sales function from home, other than the owner’s belief they would “fart off.” However, numerous cases have shown that employees who work from home are more productive. In other words, the problem was not actually the millenial job applicants, but the owner passing up great talent and losing out on additional productivity due to an outdated belief. The millenials were very much responsible for the BYOD (bring your own device) revolution that has swept through companies all over the world. Their intense desire to leverage their own mobile devices caused companies to strengthen their network security systems, something that many had needed to do for years, but were putting off, putting themselves and clients in potential danger in the event of cyber attacks. With consistently stellar sales numbers, I approached my boss in my early 20s to inform him that I wanted to apply for another position within the company, revenue manager. “What in the world? Kid, you’re making us and yourself money hand over fist? Why would you want… I just don’t undersand… No one does that.” My Baby Boomer boss was at a complete loss. However, my reply was, “I feel like my brain cells are committing suicide. I know how to do this already.” After a bit more cajoling, I was awarded the new position and I went on to make many changes that both made the company large profits and saved money by removing site inefficiencies. Millenials need mentors, just as all generations did. However, the primary difference that sends shockwaves through many companies is the fact that millenials do not automatically ascribe to the concept of tenure. They tend to ask “why,” rather than simply doing a task that seems illogical to them. This is actually a benefit as it shed light on inefficiencies and outdated practices. As a benefit, many millenials are more tech-savvy and are quick to learn new systems in the workplace. Why not leverage this by becoming co-mentors? You can offer them advice and wisdom gained from your more extensive experience while they help you stay relevant by learning new technologies. You’ll find that by acknowledging their strengths, they are more likely to appreciate your guidance and advice. 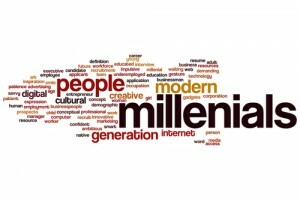 Are you successfully navigating working with millenials? Or, are you convinced that millenials will be the death of your industry? Share your experiences in the comment section.